True Wild Life | Gar | The gar (also known as the garpike) is an elongated species of fish, generally found in freshwater habitats across North and Central America. 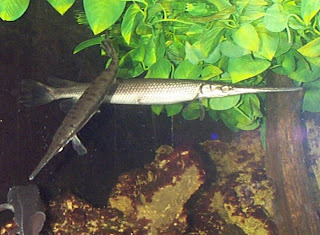 Despite their similar appearance, the gar is not to be confused with the marine garfish or needlefish that is a common sight throughout the tropical reefs of south-east Asia. There are seven different species of gar found on the American continent where they can be found in fresh or brackish water habitats such as lakes and reservoirs, and in the larger slow-moving rivers. 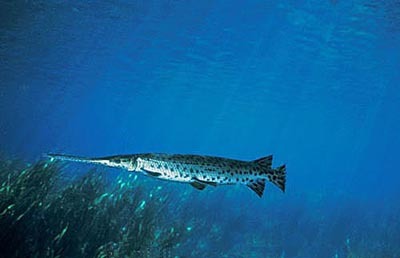 The gar is most commonly found in eastern parts of North America, Central America and also on a number of the Caribbean islands. The gar is a generally quite large species of fish, with some individuals able to reach lengths of 3 meters or more. Although not all gar species are quite so big, they are all generally large fish and therefore dominant predators within their environments. Gar are generally slow-moving fish and so must rely on the power and strength of their jaws in order to catch their prey. 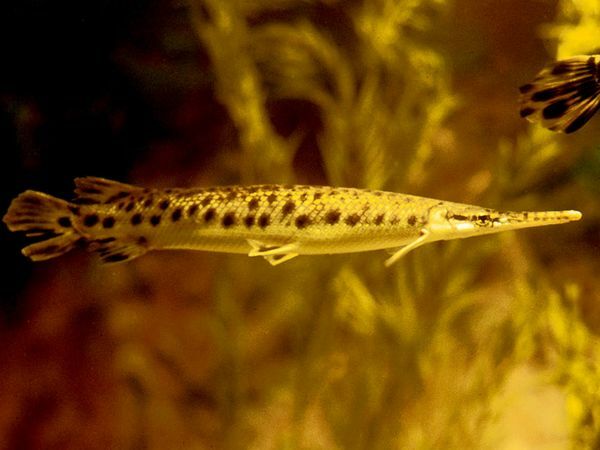 Gar have a long jaw which is filled with sharp, needle-like teeth and can often be seen together in small groups as they try to ambush their prey as one. The gar is a carnivorous and dominant predator within its environment feeding only on other animals in the water. 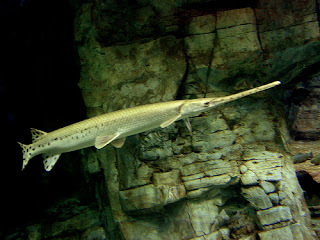 Gar primarily hunt fish, insects and other invertebrates such as crabs along with eggs and other animals in the water. Due to its large size and aggressive temperament, the gar has few natural predators within its native environment. Larger animals including crocodiles, alligators, large fish species and humans are the main predators of the gar. Many gar spawn during the warmer spring months between April and June although they have been known to mate until the autumn weather appears in early October. After mating, the female gar lays an average on 10 sticky eggs on a nearby leaf or branch, where they remain until they hatch. As with many other fish species, the gar parents do not look after their young once they have hatched. Today, the gar is not considered to be a species that is under threat from extinction although gar populations have been decreasing in specific areas mainly due to over-hunting and pollution in the water.